This week finds me in Sacramento. My nephew's wedding was on Saturday night and I am staying a few more days visiting family. We were able to take some time today to visit a quilt shop in the Rancho Cordova area called Quilters Corner. It is a great little shop and has something for everyone. 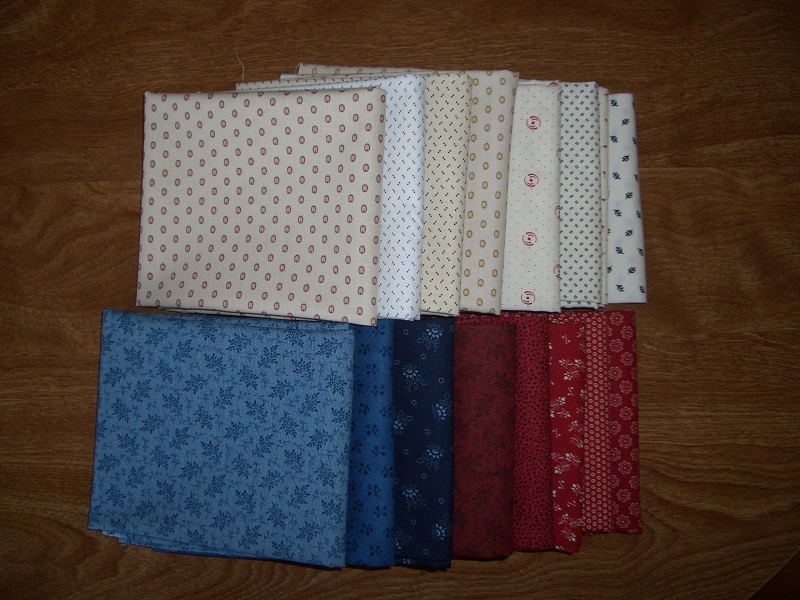 I loved the selection of Reproductions and picked up the fabrics below for my Dear Jane Quilt. If you have the chance to visit, check out the restroom! So, no finishes this week, just a few new additions. 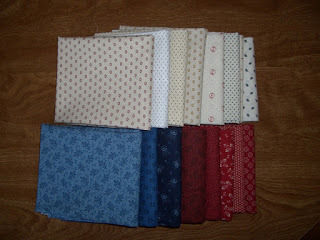 I am going to need to stay out of the quilt shops for awhile!! Check out how everyone else is doing at Patchwork Times.